Just fifteen minutes from the center of Helsinki and the traveler on the island Iso Mustasaari, which is the most popular among visitors. In general, the sea fortress was erected on 7 rocky islands with an area of ​​eighty hectares and rightfully ranked among the largest in the world. It has retained its functionality to our time and serves as an administrative part of the city. The inhabitants of Sweden call it - Sveaborg, which means “Swedish fortress”, and the Finns - Suomenlinna, that is, “Finnish fortress”. The movement on the ferry itself is no less fascinating, since it offers a beautiful view of the city from the sea. To explore everything on the island will take a whole day. On the territory of the fortress there is a museum, which is dedicated to the history and construction of this famous defense complex. The construction of the fortress began in 1746 on the “Wolf Skerries” (the name of the islands at that time). The construction was entrusted to the shipbuilder and architect Major Augustin Ehrenswierd. Its purpose was to deter Russian troops from invading Finnish territories, which then belonged to the Swedish kingdom. Soon the entire galley fleet of Sweden was reorganized into the army, as a result of which Sveaborg became the main base of the Swedish fleet. 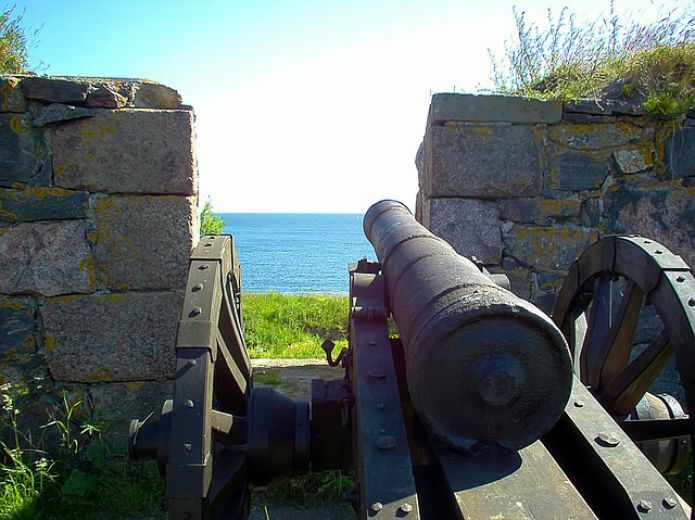 But during the Russian-Swedish war (1808 - 1809), after a rather short siege, Sveaborg was forced to surrender to the Russian troops, so the fortress became Russian. In 1809, according to the peace treaty of Friedrichsgam, Sweden gave Finland, Russia, which became part of the Russian Empire and received the name - the Grand Duchy of Finland. Until 1918, the Russian garrison was located in the Sveaborg fortress. In its history there are many glorious pages of the valiant repulse of Russian soldiers of the Anglo-French squadron in the Crimean War of 1855, while the enemy forces many times overtook the defenders' artillery. The fortress received the name Suomelinna after Finland received independence in 1918. Until 1973, it was a military base, after which it was handed over to the city authorities. If the tourist has a desire and time allows, then you can visit the customs museum, the museum of dolls and toys, the military museum of the Manege or the Ehrensvärd museum. At the very beginning of the 20th century, Russian soldiers rebuilt the largest bathhouse in Finland, which was designed for a hundred people. By the way, it still performs its functions. There is also a submarine "Vessico", which is also a museum. And on this island Vissarion Grigorievich Belinsky (1811-1848) - Russian writer, philosopher, essayist and literary critic was born. 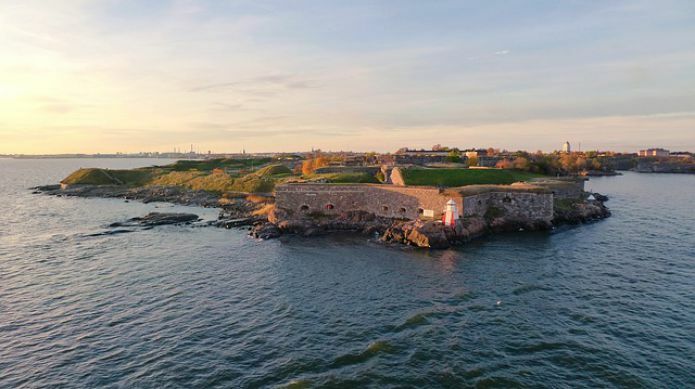 The fortress of Sveaborg is a historical reserve, but despite this, about a thousand people live here; The Naval Academy of the Fleet and a small city prison in which prisoners convicted of minor offenses are kept are working. They are allowed to move freely around the island and work in the territories of the fortress, helping in construction and cleaning. This fact is very surprising, but the Finnish punishment system is one of the most fair and humane in the world. Nikolai Nikolaevich Semenkevich wrote a story dedicated to the fortress of Sveaborg, on its basis, in 1972, a historical drama was shot, entitled "Sveaborg". The film tells about the soldiers' uprising in 1906, which was crushed with cruelty. A visit to the fortress is available all year round. In summer, of course, it is much more pleasant to walk, but in the offseason there are much fewer people here. This is quite a big plus, since it is much more interesting to photograph the fortress, and not other tourists.